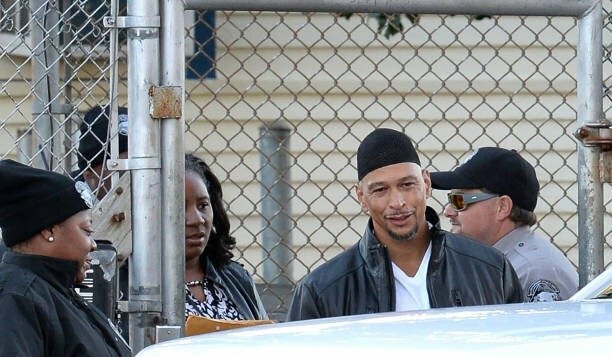 #Roommates, former NFL player Rae Carruth is a free man today, after serving 19 years in the slammer for hiring a hitman to kill his pregnant girlfriend. According to TMZ, Rae made one of the worst decisions of his life in Nov. 1999 when he hired a hitman to take out his 24-year-old girlfriend, Cherica Adams. She was 8 months along with his child when he conspired to do this heartbreaking thing. Rae and Cherica had gone to see a movie together and when the movie ended they got in their separate cars. Rae ended up blocking Cherica in so she couldn’t move and that’s when the gunman that Rae hired made his move, shooting Cherica 4 times. She managed to call the police and hospital personnel were able to perform to a C-Section and save her baby. Cherica passed away from her injuries four days later. Chancellor has been raised by the victims mother since that terrible day.